Associate Professor Robert Kehoe, coordinator of SMU’s Undergraduate Research Assistantships program and director of undergraduate research in the Department of Physics, has been named the University’s new Director of Undergraduate Research. He reports to James Quick, Associate Vice President for Research. Kehoe sums up undergraduate research as “one of the single most promising recent developments to enhance student learning and prepare them for their ultimate career or vocation. An SMU professor since 2004, Kehoe received his B.A. degree in physics from Earlham College and his Ph.D. degree in high-energy physics from the University of Notre Dame. He completed postdoctoral study in astrophysics and high-energy physics at the University of Michigan and Michigan State University, respectively. Kehoe is a member of the SMU team on the ATLAS Experiment, the largest detector in the Large Hadron Collider array at the European Organization for Nuclear Research (CERN) in Geneva, Switzerland. His longstanding research into subatomic particle mass played a role in the search for the long-sought Higgs boson. He also contributed directly to the analysis published in summer 2012 that observed a new particle consistent with the Higgs. His Higgs research focused on controlling and quantifying the large amount of background created in the production of two very massive charged particles used to help detect the previously unknown Higgs boson, as well as on understanding the large theoretical uncertainties involved in the production of those particles. 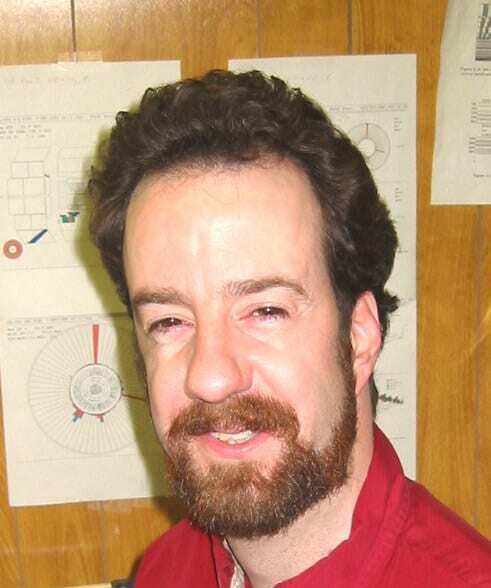 As a collaborator in Fermilab’s DZero experiment, Kehoe led analysis of data from particle collisions resulting in two leptons, which helped improve measurements of the mass of another heavy subatomic particle called the top quark. Physicists theorize that this particle — because of its sizable mass — is sensitive to the Higgs and therefore may point to it, and that knowing the mass of the top quark narrowed the range of where the Higgs can be expected. “Professor Kehoe knows good research and good research opportunities when he sees them,” Quick remarked during the announcement of Kehoe’s new duties at the University’s 2012 Engaged Learning Expo on Aug. 27. Kehoe will continue to teach and do research in the Department of Physics. Kehoe says his new position gives him “a well-defined role and a well-defined way to communicate with people. Now we can have a discussion about undergraduate research that will involve all of SMU.” His primary goal will be to expand and help enrich research opportunities and experiences for SMU undergraduates, he says. In addition, Kehoe will help to implement assessment for program effectiveness, as well as integration with the research component of SMU’s Engaged Learning initiative. Kehoe has already started informal discussions with faculty and will consult with the coordinators of undergraduate research programs across campus. His main focus will be to help existing programs and help develop new ones, he says. “We’ll take a look at the programs we already have so we can discuss what’s missing,” as well as learning about faculty ideas for new programs, he says. He intends to establish a group to create a strategic plan for undergraduate research “with the input of a broad cross-section of SMU,” including faculty, students and program coordinators. To this end, Kehoe will direct an expansion of SMU’s online undergraduate research presence, including a new website and the production of an online undergraduate research journal. He will also help create marketing campaigns and other communications for current and prospective students and faculty members.